Diwali Treats: Rasmalai - Simply Fahad-istic! 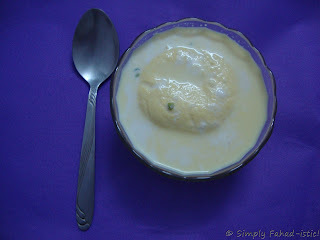 Originally from India,Rasmalai,the delectable dessert has become popular throughout Southern Asia. Literally translated as 'Ras' meaning nectar,and 'Malai' meaning cream,this sweet is every dessert fanatic's desire!Melt in mouth patties of fresh,homemade cheese are prepared in sugar syrup before steeping them in thickened milk flavored with saffron and perfumed with cardamoms.Topped with slivers of almonds and pistachios,this has to be fit for a king in every way! I am also sending this recipe to Vardhini's Sinful Delights event. To learn more about Diwali,the 'Festival Of Light's,click here. Take the milk in a non-stick pan and bring it to a boil on high heat. As the milk reaches a boil,put the saffron along with three teaspoons of sugar in a food processor and grind it to a powder.Alternately,you may use a mortar and pestle. Add this ground sugar and saffron to the pan,and reduce the heat to medium.The saffron will immediately start releasing its blissful,almost orange color into milk,dying it into a warm,sunset yellow hue.Stirring frequently,reduce the milk to half of its original quantity.Then,tip in the fragrant cardamom powder,switch off the flame and allow it to cool down to room teperature. In the meanwhile,pulse chhena in a food processor till it starts coming together,forming into a mass.This will just take a few seconds.Then,knead it lightly with your hand into a ball.Divide this creamy chhena into thirteen equal portions.Take one portion in your hand,roll it between your palms to make a fine ball,and gently flatten it into a disc.Ensure that the surface of the disc is flawlessly smooth,with no cracks,or it will disintgrate when cooked in sugar syrup later.Do not worry if the disc appears to be small.Repeat with the rest of the portions.Keep aside. Now,place a fresh pan with three cups of water on high heat.Once fairly hot,reduce the flame to low,add the remaining sugar and stir until it dissolves.Reduce the heat and cook the sugar syrup for three to four minutes,till it thickens just slightly.The consistency of this syrup is of prime importance - it should be neither too thin,nor too thick,or the chhena disks will not cook to perfection.Then,add two tablespoons of reetha extract/dissolved refined flour,which will result in a layer of froth on the syrup surface.If the froth appears to be little,add more spoonfuls of reetha extract/dissolved refined flour,till a thick,foamy layer covers the entire syrup surface.If this froth layer rises too high in the pan,sprinkle some water over,so that it goes down.Finally,drop in the chenna disks gently,one by one.Let them boil for approximately ten minutes,till they increase in size and become spongey.Keep sprinkling some water from time to time so that the syrup does not become too thick.Once done,switch off the heat and pour a cup of water gently in the pan.This will help the rasmalai cool faster. Once it cools down to room temperature,remove the delicate chhena disks,the mouthful morsels of heaven with a slotted spoon,and turn them even more heavenly by transfering them to the rich,sweet milk.Refrigerate the rasmalai until serving time,sprinkle with dried fruit - almonds,pistachios,raisins and decide whether to serve it to guests or enjoy it all by yourself! 1. While traditionally a heavy bottomed vessel is used to thicken the milk for rasmalai,using non-stick pan is even better since it prevents the milk from sticking at the bottom/getting burnt. 2. Paneer is the denser,more concentrated form of chhena.If the solids obtained from curdling milk are allowed to rest in their own heat,drain for a longer time period,or pressed under a weight,paneer is formed.Since we need homemade cheese for rasmalai that can withstand boiling,only chhena can be used since it is softer and easier to work with,than paneer. 3. 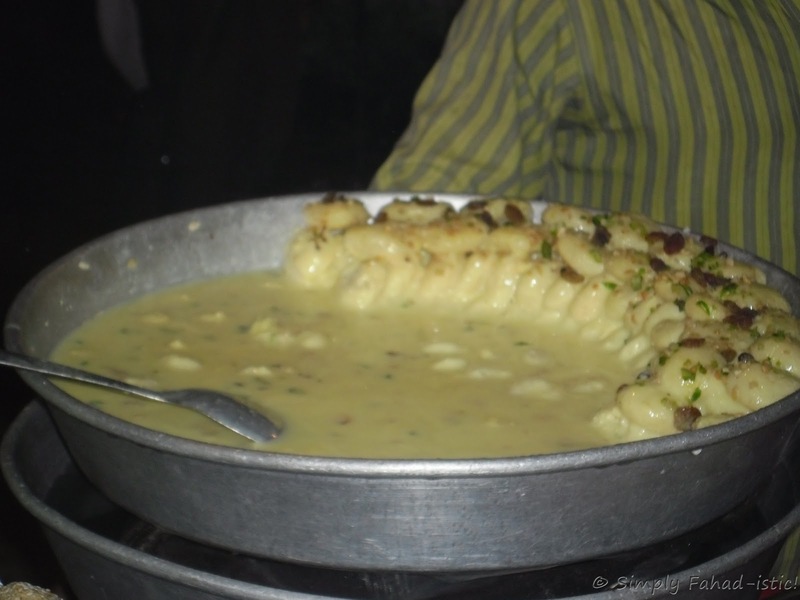 Chhena should not be pulsed/kneaded for too long or the milk fat will separate,making it greasy. A bowl of Rasmalai guarantees to please your friends and family,the perfect end of any Indian meal. This work by Fahad Khan is licensed under a Creative Commons Attribution-NonCommercial 3.0 Unported License. My mouth is watering..... I love sweets!!! Thank you faddy, I'm going to ask a cousin of mine who is a chef to add this to her repertoire of need to know dishes. Rasamalai looks awesome and thx for linking to the event.